In both areas of property management and facility management, redevelopment and repositioning services are offered to owners of properties. 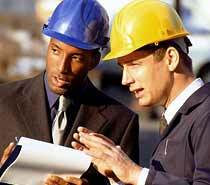 IPSG can act as the owner representative during redevelopment and renovation programs. IPSG can serve as your construction representative through concept and design services, estimating, jurisdictional and building department approvals and permitting services, contractor evaluation and selection, construction management and tenant coordination services. By developing targeted marketing, advertising and graphics programs to effectively communicate construction or redevelopment activities, IPSG can enhance the experience for clients, customers, tenants and employees.